MOSCOW (AP) Mexico defender Edson Alvarez’s 74th-minute own-goal against Sweden on Wednesday was the seventh time at this year’s World Cup that a player has sent the ball into his team’s net – a tournament record – and Switzerland goalkeeper Yann Sommer made it eight on an unlucky bounce. As with many of the earlier miscues, Alvarez was trying to clear a cross in the box. 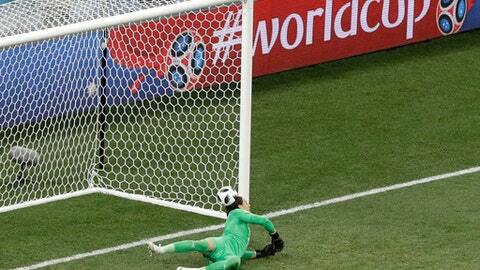 But it bounced off of him and inside the left goalpost as ‘keeper Guillermo Ochoa watched helplessly.